Boston group Dame has released their debut, self-titled EP following their sought after demo “Charm School” came out almost two years ago. Dame continues a mind-melting attack of post-punk and new wave on this three track EP, which was self-released under Charm School Records. The EP comes out sounding a bit more polished than “Charm School,” but the effects Dame’s songs have are not left behind. 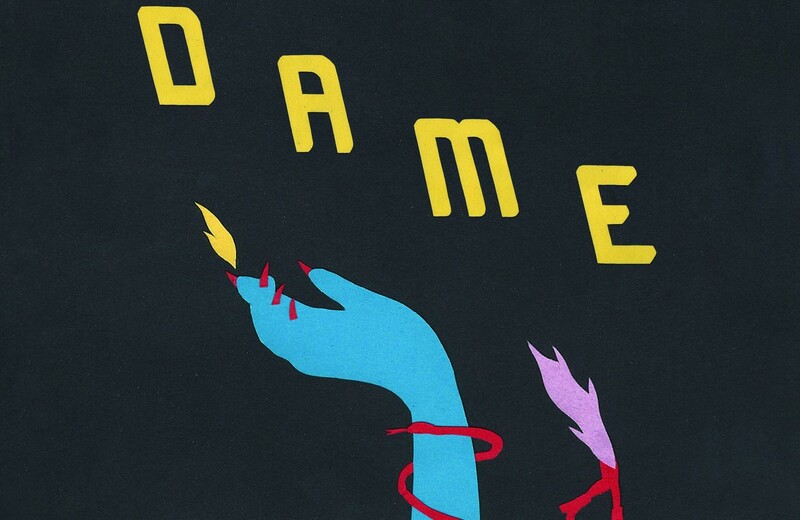 Dame has dreamy, spacey verses with steady drum patterns, very common in post-punk and new wave.They use synth frequently, notably on the song “Lines,” where it floats above a wavering bass line solidifying the mood that Dame is going for. These three songs work well with each other and have their own characteristics that show the versatility of Dame and the ability to tie together what seems to be a variety of different influences, like punk, new wave, post punk and riot grrrl. For example, in the song “Hush” Dame’s punk roots show when they pick up the tempo while still keeping the platform for the vocal delivery and allowing the catchy guitar parts to shine. It is easy to draw comparisons to TSOL or New Order for Dame, but they set themselves apart with a bouncy, yet commanding vocal presence under a band with big drums, interesting guitar parts, and synth parts that fill the cracks to make sure it doesn’t make a mess.